On March 21, 2014, my thesis documentary film The Bottom Line was screened at the Bethesda Film Festival. To promote the event, I was interviewed by the Bethesda Gazette for their print and online editions. 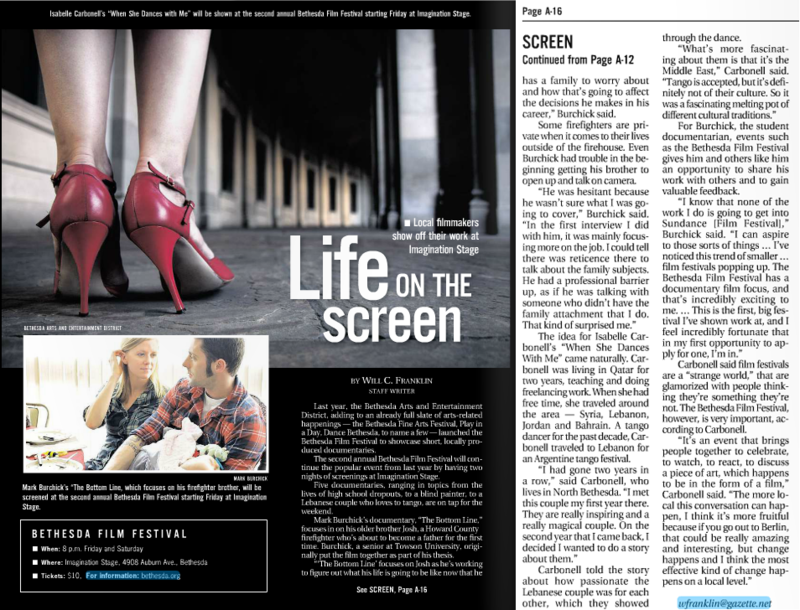 The layout of the print edition for the Bethesda Film Festival article in the Bethesda Gazette, which ran the week of March 19th, 2014. For Burchick, the student documentarian, events such as the Bethesda Film Festival gives him and others like him an opportunity to share his work with others and to gain valuable feedback. To clarify, when referring to getting into Sundance – I’m talking about the kind of work that I am doing at the college student level. Read the full article!